See that FedEx logo on the truck? What do you notice? Letters? Colors? Shapes? Probably. But if that's all you see, you are missing something. Take another look. Do you see an arrow? A white arrow. No? Look again. Look at the space in between the "E" and the "x". The white space. See it? Cool, huh? Well then, given our tendency to miss what's right in front of us, is there a way to increase our ability to see the invisible? 1. Pay attention to your dreams. 4. Stop projecting your own assumptions onto everything. 5. Trust your instincts more. 6. Let go of attachment to your thoughts. 9. Sneak up on your project (work in the cracks). 10. Let go of doubt. 11. Work in a different environment. 12. Ask friends to tell you what your blind spots are. 13. Look through the eyes of the person who inspires you the most. 18. Stop trying so hard. 19. Ask children for the answer. 20. Invite unusual suspects to share their point of view. By the way, every time I see a FedEx truck these days, I stop and ask myself "What am I not seeing?" It only takes 10 seconds, but usually reveals some very useful insights. And even when it doesn't, the act of asking the question opens my eyes a bit wider. Here's to the revelation of your white arrow! Breakthrough results are not always the result of a revolutionary Eureka moment. Quite the opposite. They are often the result of doubt, confusion, ambiguity, and experiments that go awry. When Thomas Edison was asked how it felt to fail 800 times before coming up with tungsten as the filament for the light bulb, his answer was a revealing one. "Fail?" he said. "I didn't fail once. I learned 800 times what didn't work." Edison had the ability to tolerate ambiguity. Like most breakthrough thinkers, he had the ability to dwell in the grey zone -- the space between knowing and not knowing. He had faith in the creative process and was willing to be disoriented, muddled, baffled, and confused because he knew that stuff was often a pre-condition to discovery. Confusion was not his enemy. "Confusion," as Henry Miller put it, "is simply a word we have invented for an order that is not yet understood." 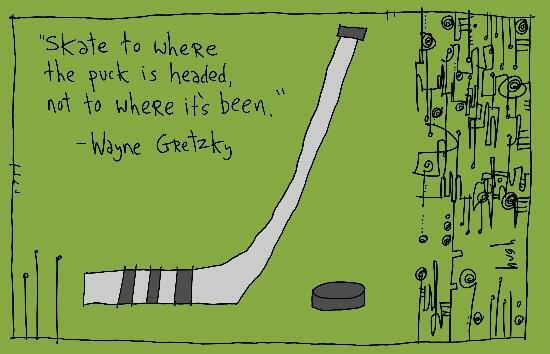 If you are trying to birth a breakthrough idea, product, service, or business, get comfortable with ambiguity. Even more importantly, get comfortable with the discomfort that accompanies ambiguity. Give up your addiction to having all your ducks in a row. 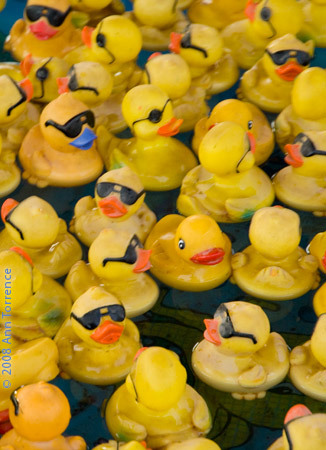 People may think you're a quack, but so what? Ducks don't always march in a row. And those that do, may be closer to wind-up toys that the real thing. Besides, wasn't the universe itself born from chaos? All those swirling gases! All those nebulae! And all without a Starbucks in sight! 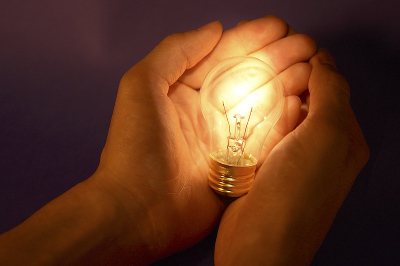 THE BIG QUESTION: What new idea of yours is bubbling on the brink of breakthrough? In what ways can you stay with it -- even if you are impatient for an answer NOW? Are You a Happy Manager? Managers, in most organizations, are expected to be efficient, effective, organized, focused, strategic, forward-thinking, and committed. They are not expected to be HAPPY. Happiness, as a "management attribute" is usually way down the list -- something reserved for the weekends, stock splits, or Christmas parties. But recent research on the subject flips this kind of thinking on it's ear. In today's highly stressed workplace, the time has never been as ripe for managers to radiate genuine happiness. Got iPhone? Want something more interesting than just the weather and the location of your nearest Starbucks? If so, download Cards of Destiny -- especially if you want some fascinating insights into who you are in the grand scheme of things. Being from New York, I was skeptical at first that an online deck of 52 "playing cards" could offer me any useful insights. (Aaargh! Tarot cards gone digital!) But I was wrong. 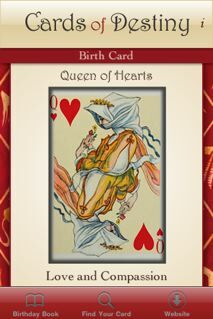 My birth card (September 8th), I learned, was the "Three of Diamonds," AKA "The Colorful Character." And what it had to say about me was totally accurate -- and gave me much food for thought. Still skeptical, I thumb-scrolled the cool birthday calendar that comes with the app to read the description of my wife, son, and daughter. Again, spot on, each one. The best $2.99 I've spent this year. For more about Sharon Jeffers, the wizard behind the deck, click here. I just googled "definitions of innovation" and came up with 5,240,000 choices. Good luck reading them. For now, here are 10 I've gathered over the years that I like. How about you? And if you have a better one, let me know.